Acupuncture is a centuries-old treatment that involves inserting micro-fine needles through the skin at specific body points for therapeutic purposes. It is especially effective as an alternative or adjunct to conventional treatments for pain, the side effects of nausea from chemotherapy, and a number of other conditions. Acupuncture is often used in combination with traditional Chinese medicine to create individualized treatment and wellness programs. 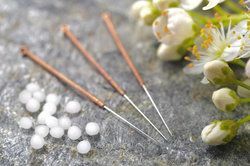 As a safe and effective therapy with few side effects or risks, acupuncture benefits many patients seeking complementary and alternative therapies. Dr. Bret Mosher is a state-licensed acupuncturist and natural medicine practitioner with over forty years of experience. With his vast knowledge and genuine care for his patients, Dr. Mosher is a highly qualified and sought after acupuncturist. Though acupuncture is commonly used on its own, it is becoming more popular among doctors of Western medicine as an adjunct treatment. For example, researchers from Duke University found that using acupuncture before and during surgery significantly reduces the level of pain and the amount of potent painkillers that patients needed after surgery. Acupuncture is often used as a complementary treatment for pain relief. Based on recent research, The National Institutes of Health (NIH) supports the use of acupuncture to help manage headaches, osteoarthritis, and neck and back pain. One of the greatest benefits of this approach is reducing patients’ need for painkillers, as well as helping patients who do not respond to pain medications. When acupuncture is performed by a qualified, certified practitioner, serious complications are extremely rare. Case reports show that reported accidents and infections are associated with violations of sterile procedures, negligence of the practitioner, or both factors combined. The most common side effects of acupuncture are bleeding and bruising at the insertion site and minor pain or soreness. The use of new, clean needles and a skin disinfectant by the practitioner decreases the already very low probability of infection. Dr. Mosher is board certified by the National Certification Commission for Acupuncture and Oriental Medicine, a mark of excellence demonstrating that he is a safe and competent practitioner of the profession. Our clinic frequently employs acupuncture as part of the Mosher Health System, which is a completely customized approach to optimal health. Dr. Mosher may recommend integrating acupuncture with other natural healing modalities such as massage, cupping, meditation, nutritional therapy, and botanicals. Your treatment will be based on an in-depth diagnosis that identifies your unique biochemical expression. We are one of the country’s premier centers of natural medicine. Dr. Mosher is board certified by the National Certification Commission for Acupuncture and Oriental Medicine (NCCAOM), a mark of excellence demonstrating that he is a safe and competent practitioner of the profession. To learn more about the benefits of acupuncture, or to schedule a consultation with Dr. Mosher, contact us online or by phone at (858) 679-2995 today.